I have always trained to music and really enjoy it. I currently have 1,044 songs in my iTunes library with 15 different playlists that I rotate around between my long runs, tempo runs, speed work or recovery runs. In fact over the last 5 years of running essentially 5 times a week there have been fewer than 10 occasions where I did not run while listening to music. 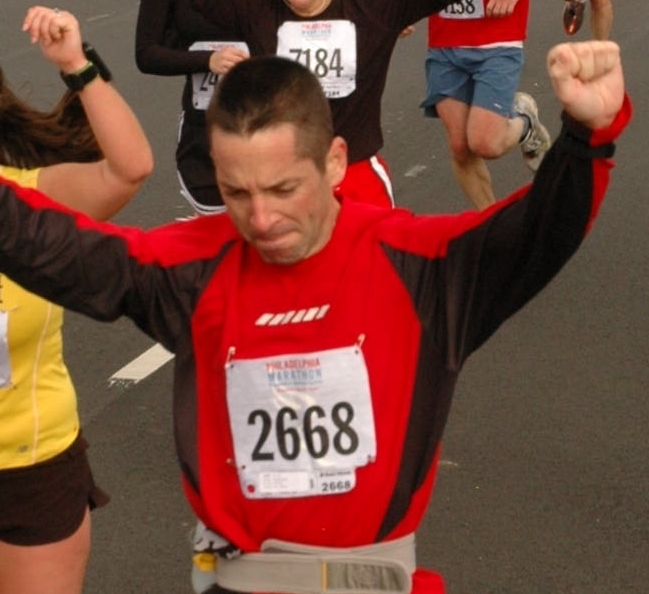 My first marathon at Philadelphia in 2006 I ran without music. 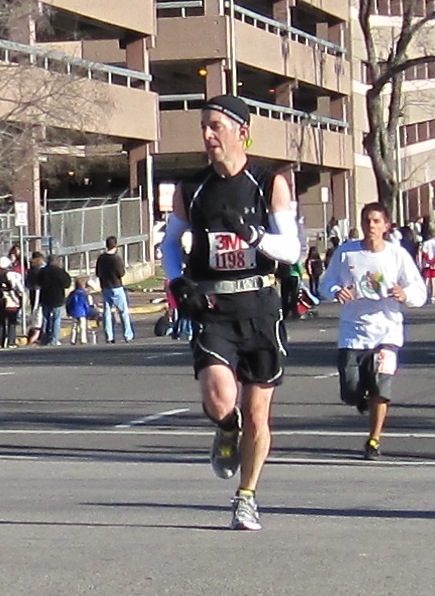 I remember running my final 20 mile training run before Philly without music to simulate race conditions. On a fishing trip with a friend in 2007 we decided to knock out a quick 5-miles and did so talking and chatting. And over the years I’ve had a few occasions where on the road I forgot my Nano or experienced a technical difficulty with my charger or earphones. That’s it. 1,300 runs +/- and all but 10 of them I’ve been jamming to more than 1,100 hours of music. I would say that places me firmly in the “Run with Music” camp of distance runners. There are a lot of runners who really would rather hear the world around them when they are on the road or trail and do not train with music. That’s what is so great about the sport of distance running; everyone finds their own solitude in a different way. Whether it is chatting with their running club friends, listening to their feet pound the pavement or rocking out to Bruce and the E. Street Band. But last week when I was reading through some postings on Daily Mile there were quite a few runners that cited the reason that they did not run to music was they could not find a comfortable and/or affordable set of ear buds that would stay in place. So they simply ran without. Like most things that I learned about running and specifically running equipment, I learned about earphones through trial and error. But about 3 years ago I stumbled upon a set of earphones that worked so well and have become so comfortable – frankly it never occurred to me to share them with everyone. So if you have been looking for a new pair of ear buds or are simply thinking about giving running with music another try – I wanted to introduce you to the Arriva line of headphones. The Arrivas were originally designed for snowboarders and rock climbers who needed headphones that would not move around. They are constructed from a zig-zag wraparound wire that clings to your head like “tentacles”. The ear phones are completely flexible and soft but at the same time just rigid enough to keep light pressure on your head so they stay in place even at a full out sprint. If you can imagine a tension like mechanism with “memory” that is how the earphones are constructed. The ends loop over the tops of your ear and down into your ear canal with three different sized soft-plastic buds that you can switch out for the best fit. I use the largest bud inserts and once I work with a new pair for five minutes or so to get the fit right I do not have to mess around with them again unless I pack them up for a trip or they get stretched back out due to me taking them on and off. The sound quality is good to very good compared with other ear buds I had tried in the past and the wired version costs just $19.95. It looks as if they have actually started producing a “wireless” version of their ear buds to work with the iPod Shuffle. I am still running with my trusty Nano – so I have not made the switch over to the wireless model – but if they function anything like the wired version – it should be a two thumbs up product as well. I have gotten about 9 months out of each pair I have owned before I’ve had any issues with a short in the wire or a bad connector. Traveling and packing the earphones for work trips close to 25 times per year as well as my high running mileage I think categorizes me as a “hard user” of their product. But even if I replace the product slightly more than once a year on average – I couldn’t be happier with the performance and value. 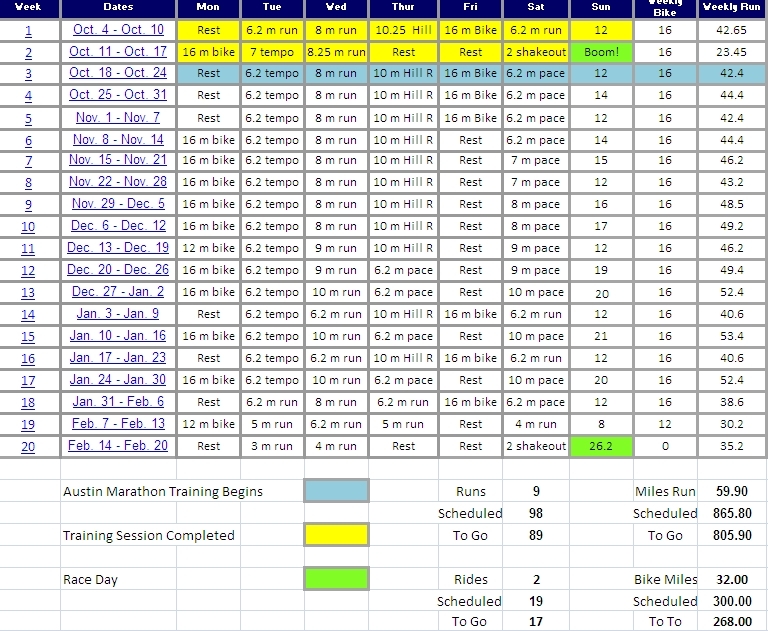 I am really struggling to decide whether I will run with music at Boston or decide to go without. Part of me would like to really soak in every mile of that race and hear everything going on around me. Another part knows that I am so accustomed to running to my own beat I may miss it along the course. I may just split the difference and run at a greatly reduced volume. Boston had been a goal of mine since 2007 – somehow I think that missing out on even one shout of encouragement from the crowd or one sound from the course will take away from the experience. That said somehow it doesn’t seem right not to carry along with me the people I’ve spent so much time with over the years training like Bruce, Clarence Clemons, The Clash, Green Day, Eminem, The Smithereens, The Replacements and The Ramones … seems a little unfair, shouldn’t they get to run Boston as well?